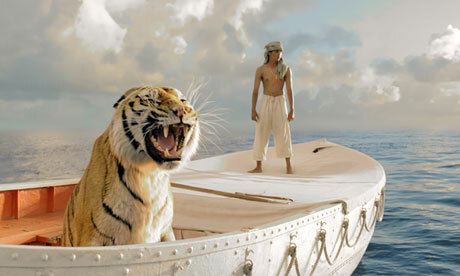 Although Ang Lee’s Life of Pi adaptation has already been in theaters for well over a month, I am now just getting around to seeing it before it finishes up its initial theatrical run (being an Oscar contender, I’m sure it will have one of those ‘second life’ theatrical runs come Oscar time). Based on the book by Canadian author Yann Martel, it tells the story of Pi, a young Indian boy who is stranded on a lifeboat with a Tiger after his freighter is shipwrecked. Having now seen the movie, I have to say that I greatly enjoyed it, especially as a theatrical experience. Is it better than the book? Well, while I liked the movie quite a bit, I think it would be unfair to say that it unseats the book. The novel is a very rich and thoughtful piece of prose on its own. But truthfully, I think this is one of the rare occasions where they almost achieve an equilibrium of quality, even if there are nitpicks to be filed against both. The book, while slow at times and steeped in broad themes of theological and spiritual allegory, is a rich and emotionally satisfying read. The movie, which certainly doesn’t sanitize or ignore these themes, stands more as a visual wonder, worth seeing in theaters for the sheer spectacle (there are a handful of show stopping shots, including one particular shot of the shipwreck itself). The movie also brings some simplification to the more complex themes of the story, which itself can be good and bad, simultaneously making some of the concepts and parallels easier to follow and spot, but also watering them down to an extent in the process. These are minor qualms though and I urge people to check out both the book and movie. Author Yann Martel and director Ang Lee have done an excellent job creating fulfilling pieces of writing/film. I wanted to also highlight a particularly nice piece written by Ben Kendrick of Screen Rant that tackles the end of the movie (and to an extent, the end of the book) rather effectively, a conclusion that has left many viewers pining for guidance on what exactly happened by the time the end credits roll. Kendrick provides a pretty thorough and digestible take on the events in Life of Pi, especially what you can take away from the ending and what nuances about it were left out of the film version. At the same time, he doesn’t try to force anything on you, which I still believe is much of the point of the book. It is a story that is meant to be interpreted on your own. Everyone will take different things away and imprint their own experiences, thoughts and struggles on it, and I believe that’s the beauty of a well written story. Either way, make sure to check out Kendrick’s thoughts at Screen Rant‘s site. Here is my list for what I thought were the best movies of 2012. End of the year lists are about as subjective as things come, but to me, they’re always fun to do, because it gives people a broad spectrum on the year in case something worthwhile went under the radar. On the topic of subjectivity I should mention that I often like movies for very odd reasons and even a single great moment in a film can really endear it to me, even if that moment is buried within two hours of Nicholas Cage. With that quick disclaimer out of the way, I will just issue one more small caveat for the legion of people who thought Django Unchained was Quentin Tarantino’s profane Christmas gift to the people. You don’t get to yell at me just quite yet. Django is just one of the many movies that I have not gotten around to seeing yet but eventually will, and more than likely when I do, it will warrant some consideration on this list along with: Argo, Lincoln, Life of Pi, Zero Dark Thirty, The Master, Hara-Kiri: Death of a Samurai, Flight, The Impossible, The Imposter, The Miserable French People (the loose translation of Les Miserables), End of Watch, The Sessions, Oslo August 31st, Bullhead and Jack Reacher. 1.The Dark Knight Rises – I know there were quite a few people who were lukewarm on this one and I wrote out a long winded defense for The Dark Knight Rises, but scrapped it in favor of something simpler. It comes down to this. Either you liked the Bane voice or you didn’t. I thought Bane voice was great. Perfectly unsettling. 2. Looper – I over analyzed the hell out of this movie in an earlier post, but will spare people the prolonged introspection this time around. Looper is a really cool film and a great example of well executed sci-fi. Not quite the mind melting time travel yarn I thought it would be, it nonetheless brings a sort of charismatic simplicity to a genre that is all too often convoluted, clunky and fairly esoteric. So, kudos to director Rian Johnson for that. And the last thirty minutes of the movie? Unexpected and tense. Very High Noon inspired. 3. The Hobbit – The Phantom Menace? Really? Where did critics come up with that comparison? The Hobbit is far from being The Phantom Menace. Do those critics even remember how bad The Phantom Menace was? I don’t think they do. But let’s be honest here. I went into The Hobbit with a pretty biased mindset. As long as it wasn’t terrible, it was probably going to be one my favorite movies of the year. And I really liked The Hobbit, I did. When the novelty of “cool, we’re back in Middle Earth” wore off, I still enjoyed it. I don’t think it was ever going to trump LOTR. The expectations were too high, the story is stretched thin and the source material is much lighter (more of a kids book than LOTR). There’s also probably one too many dwarves to keep track of and one too many songs about doing the dishes, but when all was said and done I still found it to be a compelling setup for the trilogy. And how good were Andy Serkis and Martin Freeman in their limited time together onscreen? I’d go back to see it again just for the “Riddles In The Dark” scene. 4. Dragon – Wu Xia aka Dragon was a nice breath of fresh air from the CG laden martial arts epics that Hong Kong has been pumping out in the last decade. Falling somewhere between a mishmash of Columbo, Ip Man and A History of Violence, this martial arts mini-classic features heavy hitters of Chinese cinema in Donnie Yen and Takeshiro Kaneshiro (kind of felt like Tony Leung Chiu Wai could have done this role in his sleep, but that’s okay). It still has a lot of over the top moments that modern martial arts movies are plagued with, but damned if it isn’t head and shoulders above the rest of them. Yes, even above the two hour music video seminar on how to break bones known as The Raid: Redemption. I wish more martial arts movies were like this. Great cinematography to be seen in this one. 5. 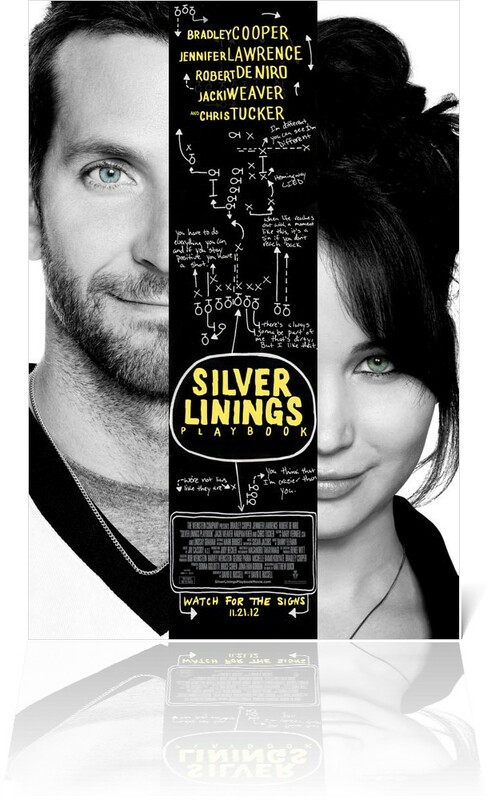 Silver Linings Playbook – Silver Linings Playbook is an enjoyable and uplifting movie that strikes a common bond with Little Miss Sunshine, drawing comedy and drama from the plights of dysfunctional people trying to get their acts together. It also ends with a dance competition that has even more eery similarities to Little Miss Sunshine and its memorable closing number. But all credit to David O. Russell. If this movie had been marred by sloppier writing, directing or acting, it could have been cringe worthy material. It isn’t though and everyone on screen really knocks it out of the park, even in the film’s quieter performances like Animal Kingdom‘s Jacki Weaver as Pat’s mother. I know there has been some recent criticism fielded against this movie for its treatment of mental health issues. While I don’t feel qualified to comment or waltz anywhere near this emotionally charged subject, I can’t say as a casual observer that I found anything to be outlandishly irresponsible or trivializing to the struggles of those battling mental health problems. But again, nowhere approaching being an expert on such a subject. Definitely a film worth checking out if it’s still in theaters in your neck of the woods. Some nice feel good moments to be had here. 6. Jiro Dreams of Sushi* – A quiet, contemplative study of sushi, family and how the definition of success varies from generation to generation. Once again, I am especially impressed with this film because good documentaries like Jiro have the ability to take somewhat innocuous material and make it interesting. It sneaks up on you, but in a good way. All while making you hungry for quality sushi. 7. Indie Game: The Movie* – I helped crowdsource this documentary back when it was on kickstarter, so it was really satisfying to see the finished product and enjoy it quite a bit. Directors Lisanne Pajot and James Swirsky managed to do a great job drawing compelling material out of the world of independent game making and presenting it as an accessible subject to those unfamiliar with video games. It transcends the gaming niche to give us a polished and well filmed doc, much in the same way The King of Kong did a few years back. 8. The Yellow Sea*/Headhunters* – I’m going to declare these two movies a tie for eighth and lump them together as a pair of successfully manic foreign thrillers. Even though they don’t come from the same continent, these two movies are essentially the same film. They both do a great job showing off just how devilishly fun this genre can be when its not shackled by Hollywood studios, cliches or expectations. 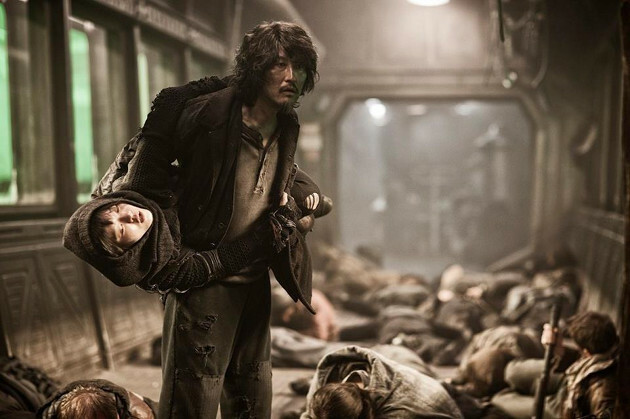 Firstly, The Yellow Sea, a film from South Korea, was pure insanity. I was never fully sure what was going on in this movie, but I ended up watching a much maligned Fox Studios cut that supposedly was missing necessary exposition. This might explain why I was often confused, but regardless, it was still a pretty epic film. The protagonist and antagonist in this one were just unkillable beasts. I don’t think I’ve ever seen two people take such abuse and walk away from it time and time again. It was Schwarzeneggeresque, even though neither of these actors slightly resemble Schwarzenegger. But again, much like the director’s previous effort Chaser, the chase scenes in this movie are unforgettable. Think Bourne type madness fused with Oldboy. Then there was Headhunters, which was also pretty insane. Although I could follow the plot a little better in this one, it still had its confusing aspects. This Scandinavian thriller was born out of the rise of Stieg Larsson and Jo Nesbo (the movie is based off Nesbo’s novel and people will be more familiar with his work on American shores when Scorsese adapts his book The Snowman later this year) thrillers, that delight in being very mature and slightly insane, but in a good way. To top it off, the villain is played oh so superbly by none other than Nikolaj Coster-Waldau aka Jaime Lannister, the Kingslayer himself. Headhunters might be one of those movies that collapses under its own weight if you look too closely at it, but if you can sit back and enjoy it, it’s actually pretty solid. 9. 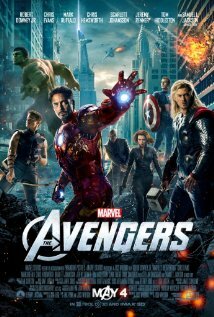 The Avengers – The Avengers was the epitome of a good popcorn movie. Non-stop action, witty dialogue and big budget special effects grouped together with some of Marvel’s best non-X-men characters equaled a massive box office haul and a start to what I hope will be an enjoyable franchise. Downey Jr. and Ruffalo did a solid job of holding together a large cast, steering this film away from Spiderman 3 territory. Oh, and long live Joss Whedon. That too. 10. Skyfall – Certainly one of the best looking Bond movies of all time, sporting a color palette and cinematography worthy of recognition, this entry doesn’t quite surpass Casino Royale in my opinion, but does have a lot going for it. These positives include Javier Bardem’s creepy turn as a blonde Bond baddie and a somewhat un-Bondlike ending I guess? Points for scaling back from the gadget happy Bonds of yesteryear to give us something more practical and old school. Judi Dench is always great as M and Ray Fiennes added to the franchise not as a bad guy? Sure, why not. Again, not quite as good as Casino Royale, but much better than that last Bond movie that no one can really remember (Bond slept with someone, there was a car chase and something about solar panels. That’s all I got). 11. Lockout*– I’m creating a special eleventh place on this list for Lockout, because it’s a bit of a hangnail of a movie and eleventh place is fitting for it. Lockout is a wholly ridiculous movie, the definition of a guilty pleasure with some of the worst special effects in a theater-bound movie I’ve seen in quite some time and as a friend recently pointed out to me, has a lead character who only speaks in one liners. Definitely bad to the point of being good, but I eat that kind of stuff up. Very little makes sense in the story, but the criminally underrated Guy Pearce elevates this from being forgettably bad. Just make sure to lower your expectations and turn your brain off if you’re watching this one. *= Currently available for streaming on the Netflix Instant que. Honorable Mention: Cloud Atlas, Elite Squad: The Enemy Within*, The Cabin In The Woods, Wreck-It Ralph, 21 Jump Street, Detective Dee and the Mystery of the Phantom Flame*, Seven Psychopaths, Ai Weiwei: Never Sorry*, Beasts of the Southern Wild, Moonrise Kingdom, Marley*, The Raid: Redemption and Goon*. Recognition Based Purely on Their Performance: Christopher Walken in Seven Psychopaths, Judi Dench in Skyfall, Emily Blunt and the little kid from Looper, the little kid from Beasts of the Southern Wild, Martin Freeman and Andy Serkis in The Hobbit, Hugo Weaving in Last Ride, Liam Neeson in The Grey, Everything Tom Hardy has done in the past two years, Jason Schwartzman in Moonrise Kingdom, Seann Williams Scott in Goon, Guy Pearce in Lockout and Michael Shannon in Take Shelter (technically late 2011, but whatever). Dishonorable Mention: Total Recall. I’m not much for compiling “worst of” lists or trashing things on this site, but I can’t get over how utterly forgettable the Total Recall remake was. Sure, it looked kind of slick and had Bryan Cranston and Bill Nighy in it, but it also was a giant pile of garbage. This movie was basically a really expensive looking landfill. They didn’t even have the awesome no oxygen head exploding part from the original. It was just unnecessary, uninspired and easily forgotten. This movie’s budget was supposedly $125 million. Why not cut that into fifths and give five up and coming directors $25 million to make something original? Or donate the money to time travel research so we can go back in time and prevent this movie from ever being remade? Because honestly, this movie will be forgotten in six months and people will default back to remembering Arnold’s 1990 version as the only version. I suspect Len Wiseman may be taking a page from Paul W.S. Anderson‘s book and just phoning in a series of sterile movies starring his attractive wife while they both collect paychecks and sip wine on their yacht. Can’t really blame them, but maybe just stay away from the classics in the future? So, what about you? What did everyone else like from 2012’s crop of movies?